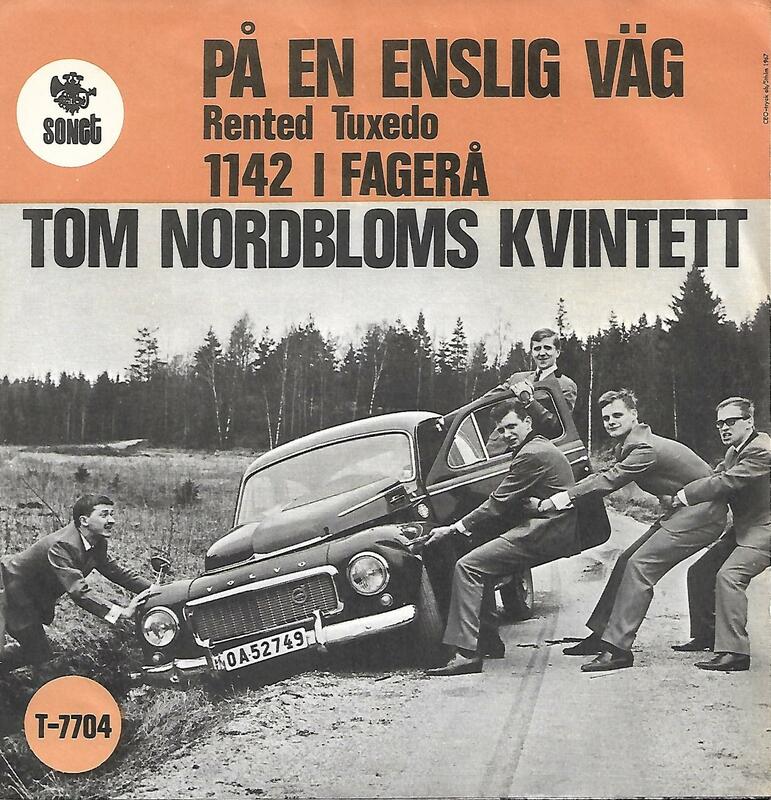 7" - TOM NORDBLOMS KVINTETT - PÅ EN ENSLIG VÄG / 1142 I FAGERÅ Rare brown ps! Rare brown picture sleeve edition! The push-out centre is still intact. Disc in EX- to VG+, there is a partial factory defect in the vinyl on A-side, plays ok without jumps but with some audible "clicks"